The Dundee Township Visitor's Center (a.k.a. The Depot) is closed for the season but will re open in the spring once weather is nice again. Thanks to our fabulous volunteers, we hope to continue with extended hours next summer to include weekdays. Yay! Sat., 9 a.m. to 4 p.m. 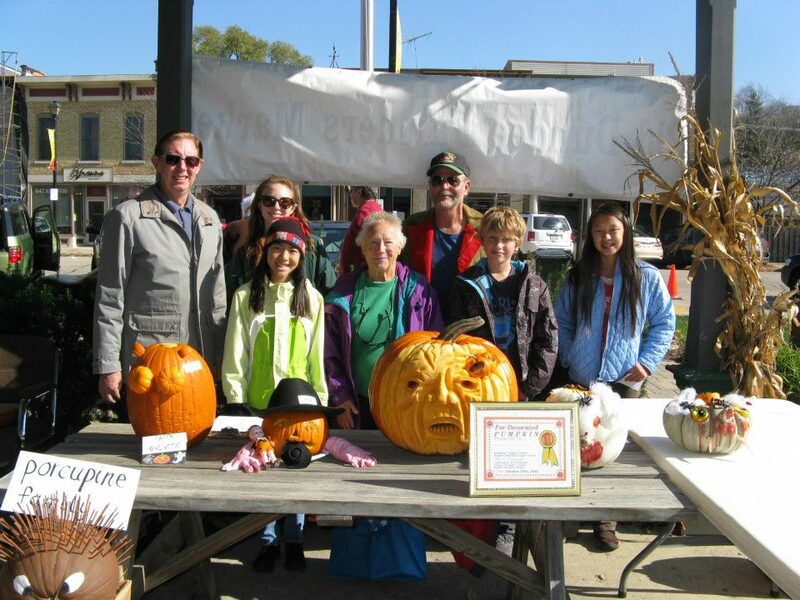 Sun., 9 a.m. to 4 p.m.
Be sure to visit our Facebook page for current news, photos and results of our annual Largest Tomato and Great Pumpkin contests. 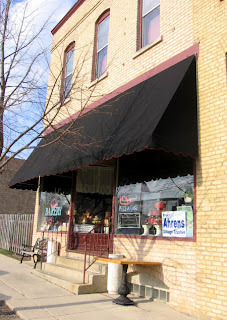 Shop local, and see you soon! 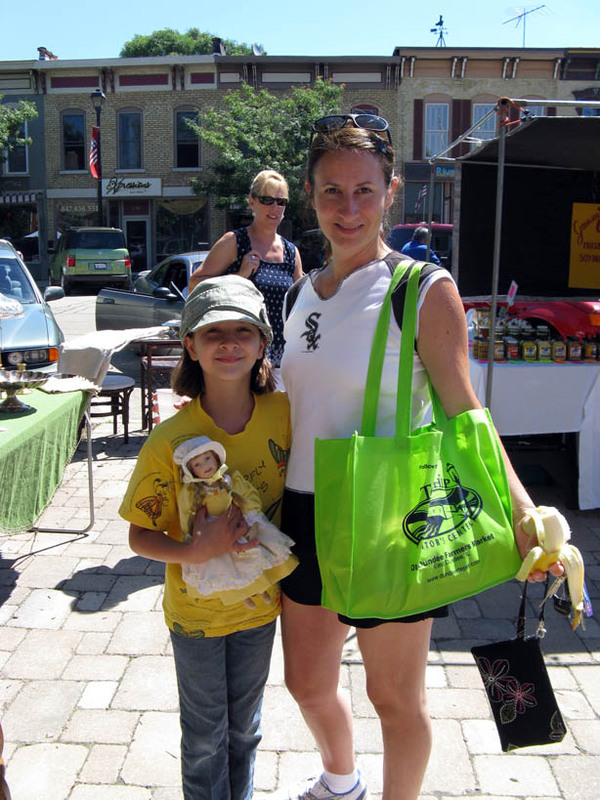 Booth fees from our market support the depot and allow us to keep the doors open, so shop early and often! 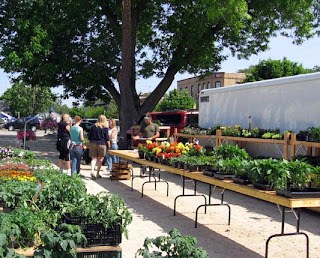 The Depot Market is held 8 a.m. to 2 p.m. every Saturday mid May through October. 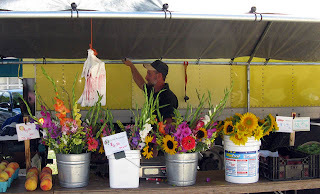 We typically get around 40 vendors each week selling veggies (in season), honey, flowers, and bedding plants, plus soaps, antiques, and collectibles. New market vendors are always welcome! Call (847) 426-4307 for booth information and visit our rules and regulations page for other details about becoming a vendor. We had lots of entries for our 16th-annual tomato contest! Scroll waaaay down to see the the results. Our closing day for the market includes the annual Great Pumpkin contest. Story and pictures also below...scroll waaaaay down! Behold Here and Now Herb singing the infamous banana song! You know it's going to be a good day when there are bananas to be had at the depot. 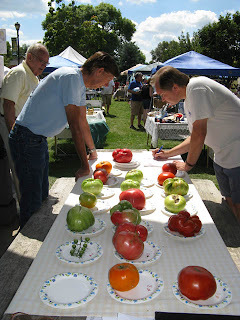 [August 22, 2013, East Dundee, IL] It was back to basics – good soil and lots of water -- for this year’s winning tomato in the largest tomato contest held Saturday at the Dundee Township Visitor’s Center. Elgin resident Gene Woods took first prize with his 3-pound 2 1/2-ounce tomato that he said was an heirloom “pee wee” variety grown alongside a hearty cucumber crop in his back yard. Unlike last year’s tomatoes, which barely topped 1 ½ pounds, this summer’s rain and warm temperatures yielded larger entries – though there was more than a pound’s difference between first and second place. Woods took home $400 in gift certificates and prizes from area businesses, including One Cut Above the Rest, Haeger Pottery, The Measuring Cup, Red Lobster, Diamond Jim’s, Piece A Cake Bakery, Liberty Lanes, First American Bank, and a Phil Aleo history book. Santo Maglio of Gilberts came in second with a 1-pound 15 3/4-ounce tomato. He won $250 worth of prizes, including gift cards from Barb’s Studio 54, Jewel-Osco, and Olive Garden Restaurant. Elaine Rathjen of Dundee took third place with a 1-pound 13 7/8-oz tomato, and Cindy Kennedy of West Dundee took fourth place with her 1-pound 13-oz fruit. They won $100 and $50 in prizes respectively from many of the same generous prize donors, plus gift certificates from Manor Restaurant, and Denny’s Restaurant. “It was another great turnout,” Zelsdorf said. “And I’m grateful once again to all the businesses that donated prizes – we had over $800 in prizes this year.” All who entered received a Dairy Queen treat coupon and a free pop. Shown here from left are Bill Zelsdorf of Carpentersville, Tomato Contest organizer and Dundee Township Visitor’s Center Manager; 1st place winner Gene Woods of Elgin; 2nd place winner Santo Maglio of Gliberts; 3rd place winner, Elaine Rathjen of Dundee; and 4th place winner, Cindy Kennedy of West Dundee. Winners took home over $800 in prizes donated by area businesses. 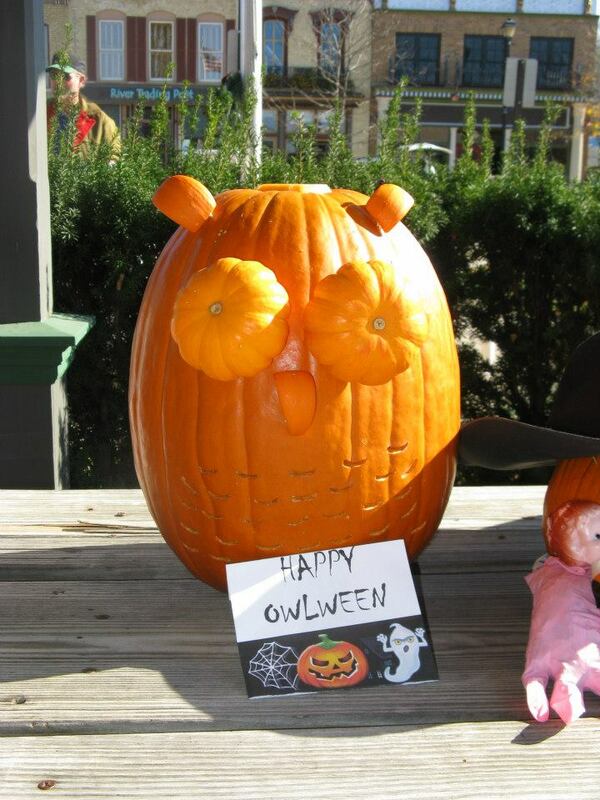 Last year, Ryan Saxon of Cary won a first-place prize in the Dundee Township Visitor’s Center annual Great Pumpkin Contest. On Saturday, it was his father’s turn. “I tried to get my son to enter again this year, but he’s 14 now so I guess he thinks he’s too cool,” Mitch Saxon said with a laugh. 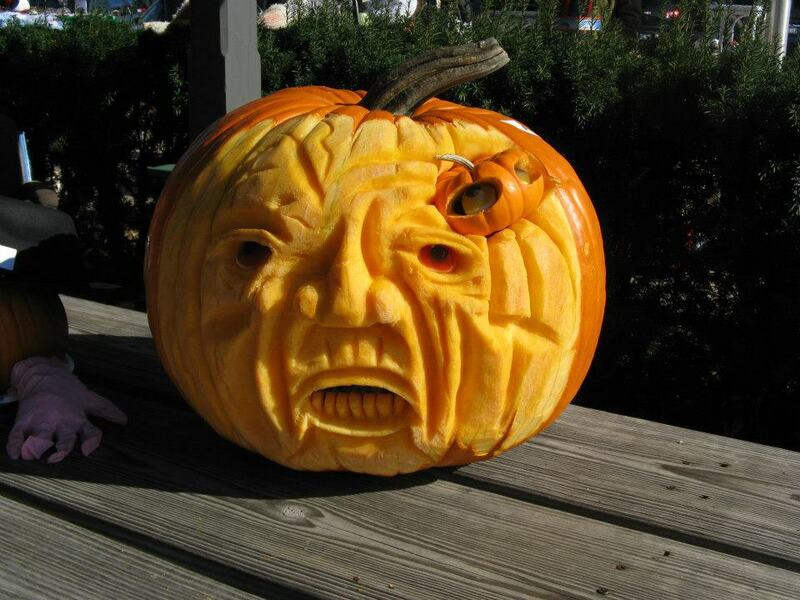 He spent about four hours on his prize-winning entry, which was an intricate face carved in the pumpkin skin. 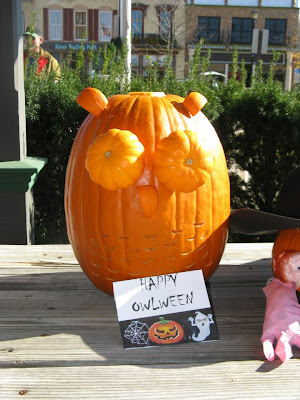 The Great Pumpkin Contest, which coincided with the end of the season for the Dundee Farmer’s Market, was held at the visitor’s center, located at 319 N. River St..
For the contest, area businesses donated more than $800 in prizes for winners in two categories: heaviest (by weight) and best decorated/carved. The top three vote-getters in each category are awarded prizes. Bill Zelsdorf is the brainchild behind the annual contest and manager of the visitor’s center. 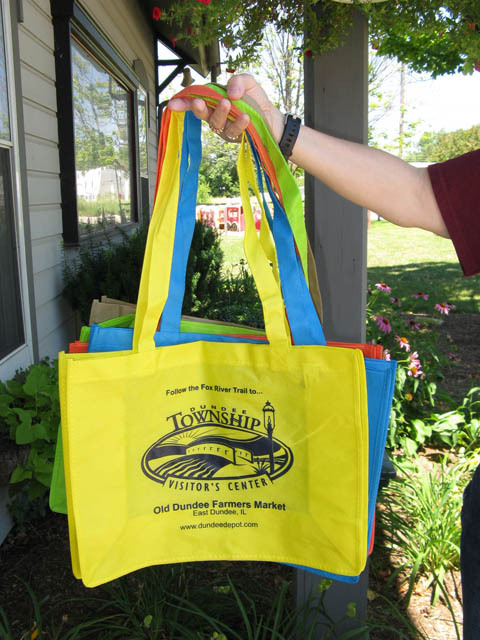 “It’s fun for the community and brings attention to the farmer’s market and the visitor’s center,” he said. He started it after seeing the success of the annual Largest Tomato Contest, also sponsored by the Dundee Township Visitor’s Center and held in August. Zelsdorf said entries for this year’s Great Pumpkin Contest were slightly down this year. “I don’t know if the drought hurt the pumpkins,” he said. 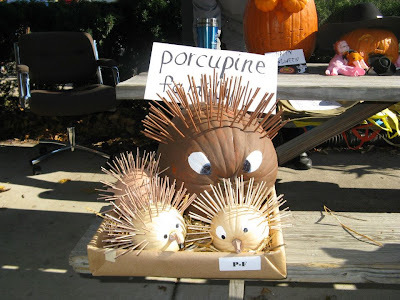 Second- and third-place winners for the decorated/carved pumpkins were the Rudd Family and Breann Volberding, respectively. 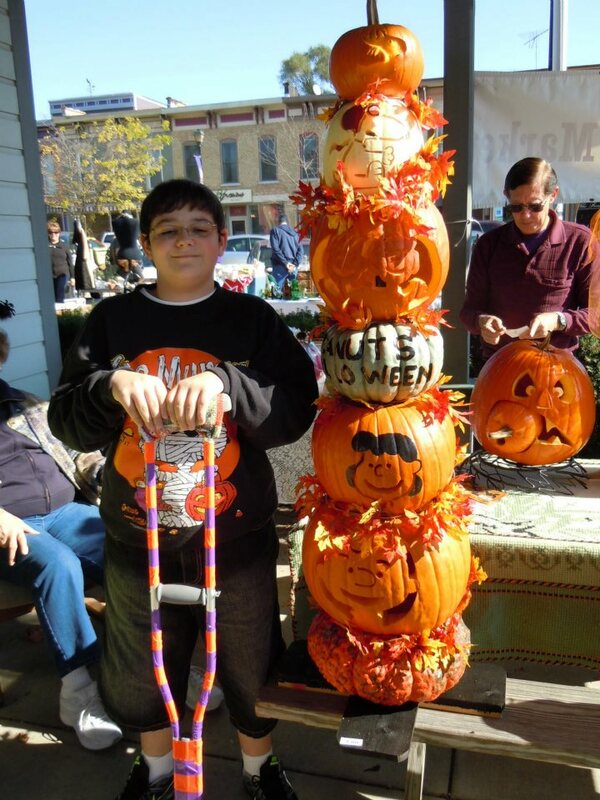 Blake Brewer took home first prize for the largest pumpkin, with his entry weighing in at 100 pounds. Both his and Saxon’s first-place wins netted them $300 in prizes. Second place-winner was Maddie Kirmse with a 48-pound pumpkin, and Grey Hoffman with a 44-pound pumpkin. Zelsdorf lauds the support from the local merchants for the contest. “I don’t think anyone else in this area has $300 prizes for a pumpkin contest,” he said. He urges the community to shop their local businesses. “Their success means our success,” he said. Here are our winners and also second and third prize pumpkins. Special thanks to Erin for coming out to cover our event! Situated right next to the Fox River Bike Trail, the Depot is a popular rest stop for bike trail users in need of snacks, beverages or a water bottle fill up. 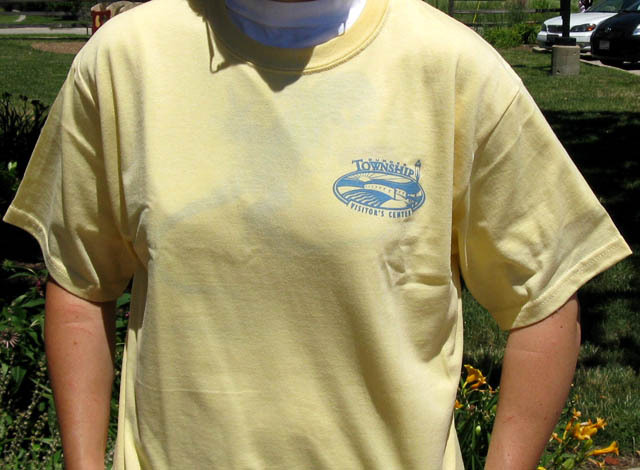 We also sell Dundee-themed merchandise, including our "Bike Me" and "Follow the Fox" trail shirts, and we've got plenty of area information about restaurants, attractions and the 60-mile bike trail. 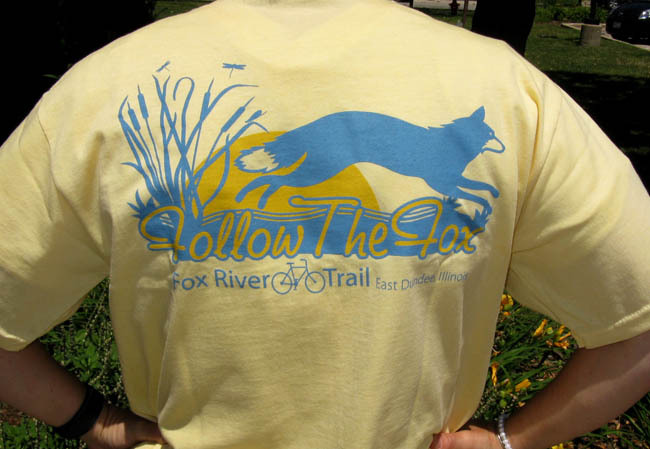 Get your own limited-edition Fox River Bike Trail shirt now while they last. These handy reusable shopping bags are great for shopping at our Farmer's Market. At just $2, you'll want at least one in every color! 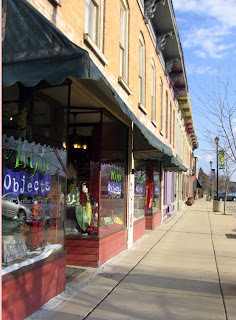 Our communities offer a wealth of "shoportunities" with unique little downtown shops and restaurants featuring delicious treats, antiques, collectibles and art. 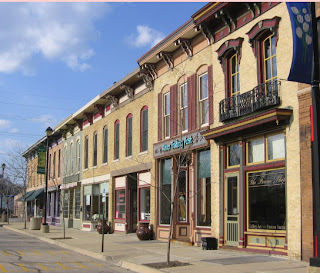 Enjoy gourmet coffee, fresh baked goods and other treats while you browse our walkable and historic downtowns! Piece-A-Cake Bakery -- calories don't count if you're on a bike! The Fox River Bike Trail in spring, summer and fall...the scenery is always changing! Here's a sight you don't often see on the bike trail. Perfect for shopping at the Farmer's Market! Just $2 -- collect all five colors! 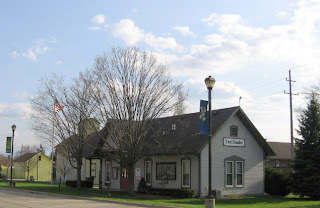 The mission of the Dundee Township Visitor’s Center is to serve as a bicycle trail rest stop, hospitality site and clearinghouse for tourism information in and around the Dundee Township area. Booth fees from our weekly Farmer's Market help keep our building open and also fund an annual scholarship to a Dundee Township graduate. 2015: $1,000 to Kimberly Skvarla of West Dundee, Dundee-Crown. 2014: $1,500 to Samantha Hoyt of East Dundee, Westminster Christian School. 2013: $1,500 to Sarah Bowen of Sleepy Hollow, Dundee-Crown. 2012: $2,000 to Abigail Yonker of West Dundee, Jacobs. 2011: $2,000 to Nicole Novak of Sleepy Hollow, Dundee-Crown. Stephen K. Pickett (president), Herbert Beck, Paula Lauer (secretary), Bill Zelsdorf (Depot Market and Contest Coordinator), Kim Bond, Connie Kaschub, Kathleen Mahony. See Who Won the Tomaoto Contest! We awarded over $1,000 worth of prizes! 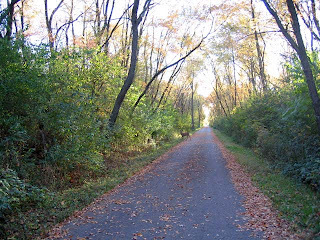 Stretching 60-plus miles, the FRBP is the longest contiguous paved path in the state. Why is it called The Depot? Because the site where the visitor's center stands today was once an actual railroad depot. 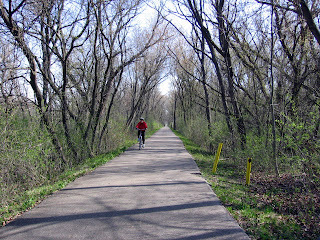 Before it became a bike path, the Fox River Trail was part of the Chicago-Northwestern train line. Designed by local architect Rick Gilmore, today’s depot is similar in style to the original Carpentersville depot that was just up the tracks. This is a picture of the depot that stood where today's visitor's center stands. 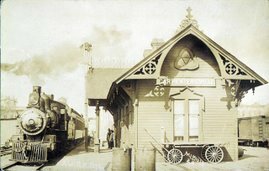 Thanks to the Dundee Township Historical Society for providing this neat picture of the original train depot in Carpentersville. 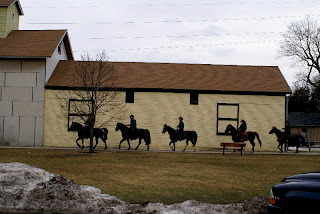 Check out the historical society link below in the "local links" section. Try out the trail the easy way – rent your wheels! Located right on the trail, they offer hourly or daily rates. T, Th & F: 12-7 p.m.
W and Sat. 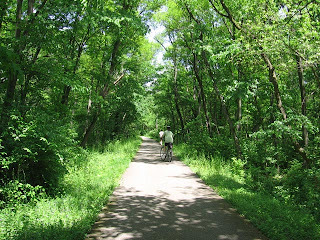 : 10 a.m.-4 p.m.
Bike fittings by appointment done in the a.m.
Visit Dundee Township's Open Spaces!